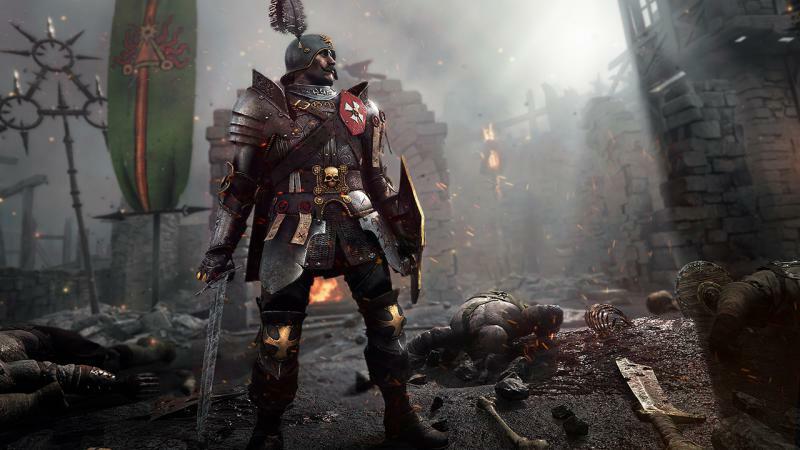 This guide is an introduction to some basic mechanics of melee combat in Vermintide 2. It only considers melee combat against human-sized enemies, and doesn't cover ranged combat, special enemies, or bosses. Normal Attack: this is the quicker of the weapon's attacks, and is performed by tapping the 'attack' key. If you perform a number of normal attacks in rapid succession, you can see there is a combo of different swings, typically comprising 2-4 swings depending on the weapon. Each swing in the combo may have different characteristics (damage, speed, etc. as described below). Attacks can be chained; hitting the attack key again before the current attack is complete will queue the next attack in the combo to execute as soon as possible. Charged Attack: this is a slower attack which is performed by holding down the attack key for a minimum duration, which may be different for different weapons. The swing begins when the key is released – you can hold back the swing for a certain amount of time by continuing to hold the key. As with normal attacks, swings can be chained. It's important to learn the exact timings of the weapon you're using, so that you can chain your swings together as quickly as possible. Block: holding down the 'block' key will protect you from melee attacks. IMPORTANT: blocking has 360 degree coverage – it protects you from attacks from behind as well as those you can see. However, blocking an attack outside your weapon's effective arc costs you more 'Stamina,' which is a value displayed as little shield icons on screen while you're blocking. A full shield represents 1 Stamina, and a 'broken' shield represents 0.5 Stamina. Stamina regenerates over time, but if you run out of Stamina and are hit while blocking, you will be stunned briefly. Push: tapping the attack key while blocking will execute a 'push' action, which doesn't damage enemies but interrupts their attacks (the weaker ones at least) and may also knock them back. Some weapons have more powerful pushes than others. Like blocking, pushing works in a 360 degree arc and is dependent on Stamina - the default cost of a push is 1 Stamina. Also like blocking, pushes cost more if used against an enemy that is outside the weapon's effective arc. You can also perform a push-swing combo: continuing to hold the attack button until the push finishes will result in it being followed by a unique swing which does not appear in the normal attack combo. Weapons with shields have the most powerful pushes, and the most Stamina. As mentioned above, some weapon characteristics vary from swing to swing - I'll use the term "swing-specific" to indicate that. In fact, if a swing hits multiple targets, some things may even vary from one target to the next, which I'll describe as "target-specific." Damage is one example of a target-specific characteristic. There are three characteristics which are scaled according to Hero Power, and I'll discuss them first. Other characteristics do not scale with power, although they may still be affected by career abilities and other things. Note that a weapon's own power level does not affect its scaling except inasmuch as it contributes to Hero Power. Damage: scales with Hero Power, and can be target-specific. When it is target-specific, the first target will take the most damage and each successive target may take less. The amount of damage a hit causes is also affected by the armor category of the enemy, and by whether the hit was a headshot and/or the attack was critical (see below). Impact: scales with Hero Power, and can be target-specific. Also known as "stagger" or "knockback," this determines the extent to which an enemy's activities are disrupted when hit. The effect of a given amount of impact depends on the type of enemy and what it was doing when hit - some enemy attacks are harder to interrupt than others. With the weakest enemies (slave rats and chaos zombies for example), any hit will interrupt any attack they were performing and stun them to some degree. Hits with more impact will interrupt more powerful enemy attacks, stun enemies for a longer period of time, and may knock enemies away from you or even off their feet. Cleave: scales with Hero Power, and is swing-specific. This determines how many enemies are hit. A swing starts with an initial cleave value, and each enemy hit subtracts a certain amount from that value. When there is none remaining, no further targets will be hit by that swing (with most swings, the weapon will visibly "stick" on the last target at that point). Different types of enemy consume different amounts of cleave when hit, representing their "mass" - an armored enemy typically has more mass than an unarmored one of similar size, for example. Cleave is actually calculated separately for damage and for impact, and some weapons have higher impact cleave than damage cleave or vice versa. This means a target might be staggered by a hit but not damaged, or damaged but not staggered. Speed: fairly self-explanatory, it's simply how quickly a swing can be performed, and is swing-specific. Stamina: the maximum Stamina of the weapon. Reach: this is a swing-specific characteristic - some attacks can hit enemies from slightly further away. In practice the difference doesn't seem to be very noticeable, and most attacks seem to have roughly similar reach. Where there is a difference, the reach of charged attacks tends to be longer than that of normal attacks, and 2-handed weapons and weapons with shields seem to have more reach than 1-handed and dual-wielded weapons. Dodge Effectiveness: the weapon (or other item) you're currently wielding affects how well you can dodge. Dodging with "lighter" weapons (one-handed or dual-wielded) moves you a larger distance than with "heavier" weapons (two-handed or weapon-and-shield). In addition, with most weapons there is a dodge distance penalty for dodging continuously - when you keep dodging as rapidly as you can, each successive dodge gets smaller. This penalty is less severe for lighter weapons. The elven Sword is an outlier, with essentially no penalty at all. Movement speed effects: attacking or blocking with a weapon will affect your movement speed. Usually heavy weapons will apply a fairly harsh movement penalty while lighter weapons have a mild one. During attacks, especially charged attacks, the movement speed effect is not necessarily uniform through the entire swing - it is typical to be slowed while charging, slowed less or even sped up during the actual swing, then slowed more again briefly afterwards. These effects have a strong influence on the "feel" of a weapon as well as its utility. Note that dodging is unaffected and can be used to mitigate slowed movement if your timing is right. Critical Attacks: critical attacks occur randomly, with a base chance of 5% plus any bonuses that may apply, for example from the weapon you are using, career passives and talents, and equipped trinkets. When a critical attack occurs, your weapon will leave an orange aftertrail and make a different sound. Note that as well as increased damage, critical attacks also have increased cleave and impact. In both cases the amount of bonus damage is target-specific. Human-sized enemies typically have 3 different kinds of attack, as described below. All of them have some degree of "phantom reach” - you can be hit even if it looks like you're too far away. Their actual reach seems to vary depending on the enemy, but even the shortest reach is about as long as yours (yes, that includes the little pink rats). Weaker enemies have attacks that hit only a single player, and only the one they were targeting. Stronger enemies like Stormvermin and Maulers can hit multiple players in a single swing. If such an attack was aimed at someone else but you happen to be in the way, you will get hit. Standing attack: this is the standard attack, which is relatively slow and predictable - it has a clearly visible wind-up. Running attack: when you move away from an enemy, it may use a running attack against you. This is a much more dangerous attack, since it is faster and seems to have an especially ridiculous phantom reach. You may be able see the attack coming because of the enemy's posture as it runs at you, but the actual swing is very fast and can still take you by surprise. If the enemy is nearby, the entire attack can be startlingly quick – a running attack can occur even if the enemy is quite close, if you happen to move slightly away from it. Vertical attacks: these are used against you when the enemy is far enough above or below you that its standing attack can't hit you. There is a crouching attack it uses when above you, and a jumping attack it uses when below. They seem to be slightly quicker than the standing attack, and can be more difficult to spot. Also, the crouching attack can cause the enemy to duck under your own weapon's swing, at least in the case of the smaller skaven. Melee combat in Vermintide 2 is all about not getting hit. This might not be obvious on the easier difficulties, because you can take a lot of hits from the weaker enemies and keep fighting, but on the higher difficulties it doesn't take many hits of any kind to knock you down. You should try not to develop bad habits while playing on the easier difficulties; instead, pay attention to how often you get hit and try to keep improving. At first, melee can seem completely chaotic with enemies swarming everywhere and randomly hitting you, but over time you will develop a sense of what's going on. 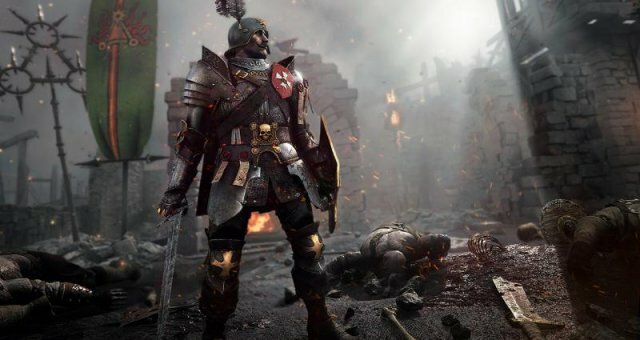 Vermintide 2 is a game where experience really matters. Hit Them First: the best way to avoid damage is to keep enemies staggered by hitting them, since you cause damage while avoiding it yourself. However,there are limitations. As mentioned above, your swings hit a limited number of enemies, so if you're facing many of them at once, you probably can't keep them all stun-locked. Also, some of them have attacks that require a lot of impact to interrupt, which your weapon might not provide. And finally, you may not be able to reach them. Some enemies have attacks with longer reach than any weapon of yours, but also there is a subtle mechanic which is difficult to spot until it's pointed out: when enemies are in the 'backswing' phase of their attack, their hitbox moves away from you even though their feet are in the same place. It moves forward again when their weapon actually swings at you. This means that there is a certain period during their attack when they are probably outside your reach, and if your swing falls within that period you won't hit them. There is an interesting video here demonstrating what this looks like in Vermintide 1 (Vermintide 2 has the same mechanic). Blocking: blocking protects you completely from normal attacks, but only until your Stamina runs out. It requires you to wait for the enemy to hit you, during which time another enemy might initiate an attack, which you then have to wait for as well, and so on. A few enemies attacking out of sync can leave you with no opening to attack if you rely solely on blocking. But it will save you if everything else fails and you're about to take a hit, as long as you're quick enough. Keep a close eye out for enemies that weren't staggered by your hit or push, or that will reach you despite your dodge, and be ready to block. Pushing: this is similar to hitting enemies except that it costs stamina and does no damage. It has the same limitations of reach and possibly-insufficient impact. But the advantages are that it hits enemies all around you (in a sphere in fact), has no limit on the number of enemies that can be affected, and is very quick to execute. Dodging: dodging to avoid enemy attacks can be very useful, especially since you don't have to stop attacking while you do it, but can be unreliable. It can be difficult to tell whether a dodge will avoid a particular attack, especially with Chaos enemies. Relatively small irregularities on the ground can stop your dodge, so unless you're standing on a perfectly flat surface, you need to be ready to cope with a failed dodge. And of course, you can't dodge through enemies. Like normal movement, a dodge can provoke a running attack. Finally, when dodging continuously your Stamina does not regenerate, and as noted above with most weapons each successive dodge becomes smaller. Which of these techniques is best to use at any given point depends on the circumstances you're in, and the weapon you're using. Basically, you want to keep hitting as many enemies as you can until you are at risk of being hit, then either block, push or dodge, or some combination thereof. Blocking is ok when there are just one or two attacks to block before you can go back to attacking, but against a lot of enemies you usually need to push or dodge. Generally, heavier weapons are better at pushing and weaker at dodging, while the reverse applies to lighter weapons. You should favour what your weapon is good at, but pushing is still sometimes useful with light weapons, and dodging with heavy ones. You should aim to be fluent with both techniques. It may sound simple, but it can be difficult to manage at first, especially under pressure. You'll become better with experience, as you become familiar with your weapons and with enemy behaviour - learning to predict enemy actions and recognize their animations is an important part of mastering the game. Watching videos of experienced players in action is also a good way to learn, for example JSAT's videos. Finally, always remember that this is a team game. Personal skill is important, but few players are good enough to survive alone and it took them a long time to get that good. Most of the time you will need the help of your team to avoid being overwhelmed, and you should aim to help your team in return as much as you can. There is a good video here describing some team tactics you can use in melee (from Vermintide 1, but they still apply in Vermintide 2).